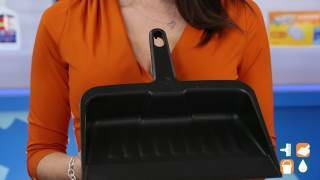 Rubbermaid designed this handy dustpan features with a tapered front edge to help simplify sweeping. 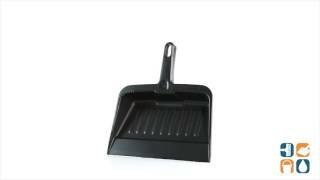 The corner of the dust pan has a grooved edge to scrape debris from the brush or broom. Made from heavy-duty, moderately flexible plastic, it provides commercial-grade durability. Lanyard handle-hole allows you to hang and store the pan out of the way. 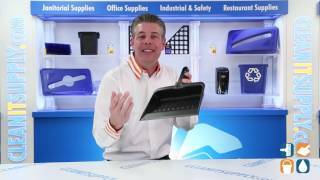 Material(s): Polypropylene; Width: 8 1/4".